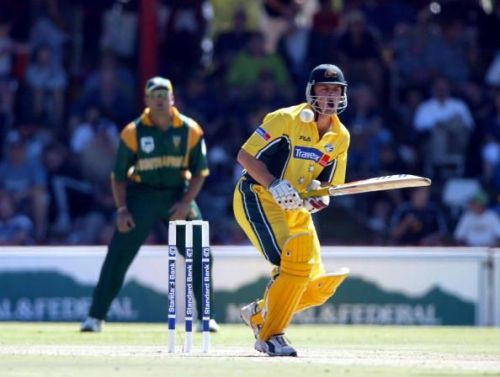 Gilchrist or Boucher? Who wins the the battle in this comparison? How many squats can a normal person do in a day without being unable to walk for the rest of the week? 100? 150? I have an interesting number for you. A wicket-keeper has to do 540 of those things in a day of a Test match, considering there is not a single extra bowled that is. And add to that all the cheering, and the energy spent in switching ends every over and running around to collect the ball. Whatever your argument maybe, wicket-keepers do a thankless job in Cricket. A good wicket-keeper is a key member of a team. And there have been few great names. 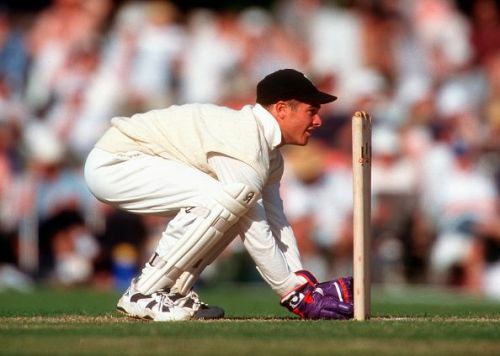 Very few countries have been blessed with quality wicket-keepers. 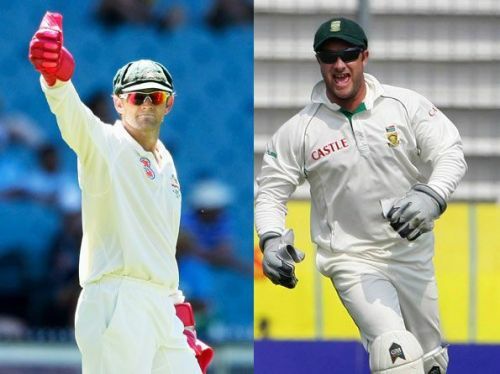 Australia and South Africa were probably the luckiest of them all, as they had Adam Gilchrist and Mark Boucher, two of the greatest wicket-keepers of all time, respectively. In many ways, these two legends changed the way the fans and the cricketing world looked at wicket-keepers. They were the pioneers of the notion that the men with gloves could be great batsmen too and that concept has certainly stuck. Their impact was palpable, so much so that post their career a wicket-keeper has to contribute with the bat well. Both these players served their countries for a long period of time and the longevity and consistency they showed is truly inspiring. So, if both of them were so great it obvious lead to a question- who was better? This article should help us decide that. Come; let us see how they fare when their numbers are compared with each other under different categories. Of the two, Boucher has more dismissals but Gilchrist has a better dismissals rate per innings. An intangible factor in the above numbers is that sometimes having quality bowlers who find the edge of the batsmen precisely helps in improving a keeper’s numbers. But at other times, they have to leap around and grab half-chances. It helped that both these men who kept wickets had an added advantage of playing with good pacers. Now, I say good pacers because they are the ones who find the easy edges more often than the spinners. 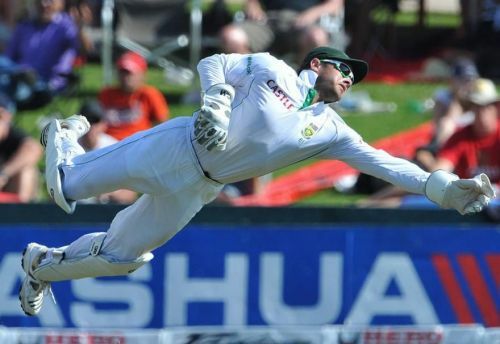 Mark Boucher trumps his Australian counterpart mainly because he played more international games. At a closer look, you can see that Gilchrist has more stumpings. That is purely because he kept to Shane Warne and Stuart MacGill both of who deceived the batsmen with guile. However, Boucher didn’t have that advantage. It was very unfortunate that Boucher suffered a freak injury prior to England series in 2012, otherwise he would have been the first wicket-keeper in history to have 1000 dismissals. The unfortunate end to an illustrious career was a heartbreak for all the fans around the globe. In terms of dismissals for wicket-keepers in Tests, Boucher is way out in front with 555 dismissals, 139 of the second-placed Gilchrist. While no other wicket-keeper has even managed 400 catches, Boucher pouched 532. His dismissals-per-innings is impressive too, thanks to the array of fast bowlers that has always been at South Africa's disposal. Both legends played almost the same number of ODIs and the numbers reiterate that they were equally good. But as mentioned earlier, the Australian legend has more catches and stumpings because of the world class bowlers the Australian team had during his days. And he did take some stunners behind the wicket as well. Both these factors together put Gilchrist ahead of Boucher in the shorter format of the game. Also, as in Tests, Gilchrist has better dismissal rate than Boucher. Boucher fell only 55 runs short of Gilchrist's tally in Tests. Gilchrist has a far superior average, but had Boucher played the three Tests in England, he would almost certainly have ended up with the most runs by a wicket-keeper. But Gilchrist was far superior with the bat in hand. In fact, it he was he who started the trend of taking the attack to the opposition in Tests whereas earlier the notion was to play the game of patience. Gilchrist could well have been included in the side for his batting skills alone. Coming into bat at 7 for the majority of his career, he would shatter the opposition with quick runs and push them into a defensive mood. That would not just get Australia quick runs but also changed the tempo of the game. His average against India is the least against any opponent, 27.89. He averages 42 against all other countries. There is no need to talk to about his legacy in ODIs. The attacking opener blasted oppositions into submission on a number of occasions. Australia were lucky to have a player like him at the top. He struck it at a rate of 96.94 in a period where anything above 70 for an opener was praiseworthy. Gilchrist also has 16 tons to go with 55 half-centuries. He could have easily surpassed the 10,000 runs mark in ODIs had he played few more games. But then, he didn’t play for numbers. On the hand, Boucher was a classical batsman with a less aggressive approach. As a one-day player, Boucher wasn’t a key member of the South African side in the last couple of his career but during all the previous years he made vital contributions. He fell short by just five games in reaching the milestone of playing 300 ODI games. For the most of his ODI career the Proteas wicket-keeper batted predominantly at either 6 or 7. His career best score innings, a brutal 147 off 63, came against Zimbabwe. This gives the best picture of what both Boucher and Gilchrist achieved in their inspiring careers. It would take some effort to better these numbers in Test Cricket. So, in all it is fair to say that both greats were different in their abilities. 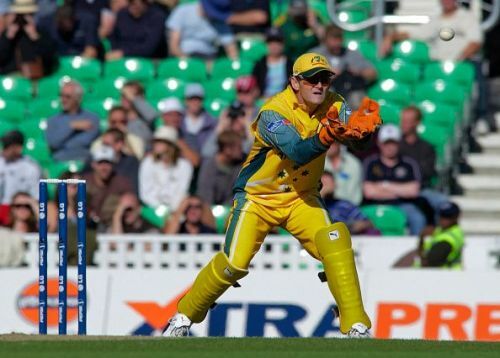 Boucher was more of a keeper-batsman, and Gilchrist a batsman-keeper. But their significance to their respective countries was the same and so was their impact on the game that we love so much.